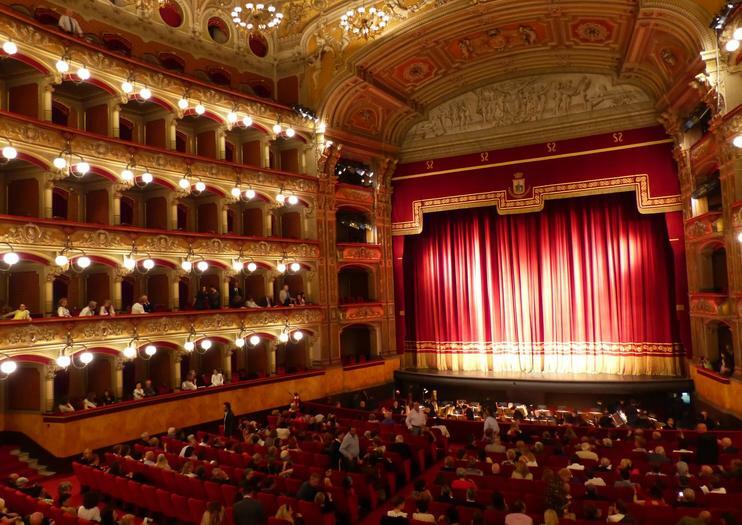 Widely acclaimed as one of Italy’s most magnificent opera houses, the grand Teatro Massimo Bellini is a dazzling tribute to its namesake, 19th-century Catania-born composer Vincenzo Bellini, and opened its doors in 1890 with a performance of Bellini’s masterpiece ‘Norma’. Today, Bellini’s works feature largely among the theater’s annual roster of operas, concerts and recitals, and performances in the 1,200-seat auditorium regularly sell out, with summer concerts even spilling over into the adjoining Bellini Square. Even if you can’t make it to an evening concert, Teatro Massimo Bellini is worth a visit and it’s impossible not to be impressed by its architectural prowess. The inspired creation of architect Carlo Sada, the theater’s imposing façade is a striking example of Sicilian Baroque style, while the opulent interiors include an ornate marble foyer, plush red velvet seating and ceiling murals painted by Ernesto Bellandi, featuring scenes from Bellini’s most popular operas. Teatro Massimo Bellini is located in Piazza Bellini in central Catania. Guided tours of the opera house are available Tuesday-Saturday from 9:30am to 12pm and cost €6 per person.